Every few years my family vacations in Florida for spring break and the first thing I do when I get there is head to the nearest grocery store for their yellow honey mangoes. Next to the sunshine and beautiful beaches, whipping up a huge batch of morning smoothies with plenty of honey mangoes is one of my favorite things to do when I get to Florida. Living in Minnesota, finding the perfect mango that is sweet and juicy, especially during the winter months, is pretty darn challenging. They are usually harvested too early by the growers. By the time they make it to the store shelves, they are still green, bitter, and do not ripen to a fresh delicious flavor before they go bad. In fact, mangoes are one fruit that I tend to reserve mostly for summer eating since that’s when they show up on the Minnesota scene in abundance, not to mention so much more affordable. 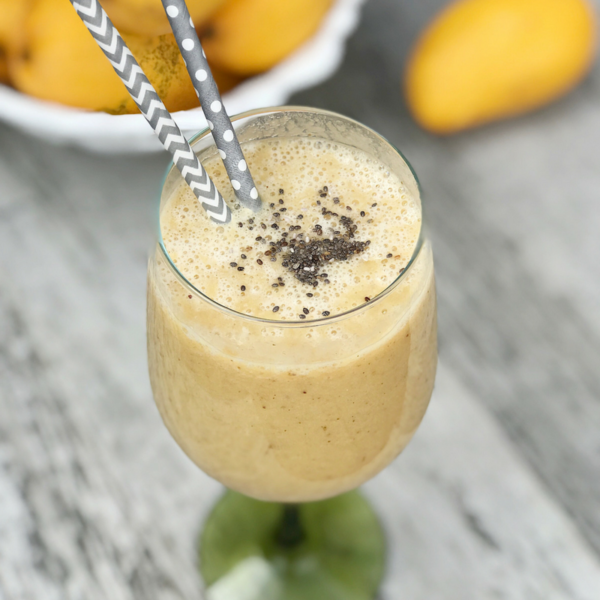 Now that the warm weather is here again, it’s time to make some honey mango smoothies! 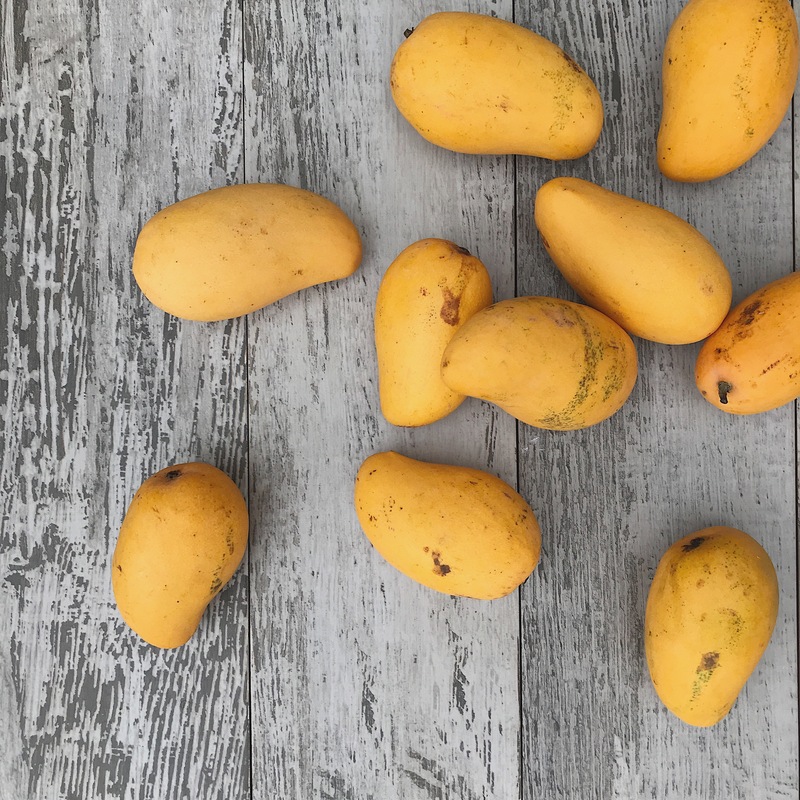 The Honey mango also goes by the name of Ataulfo, young, baby, yellow, honey, or Champagne mango. Originating in Mexico, Honey or Ataulfo mangoes are named for grower Ataulfo Morales Gordillo. The sweet mangos are grown primarily in Southern and Central Mexico and the peak season for these hardy yellow mangoes are March through June. Hence why there is an abundance of honey mangoes during warmer months in the United States, and especially in Minnesota. These delicious mangoes are bright yellow with sweet, buttery meat that’s easy to slice. Honey mangoes are also the perfect fruit to use as edible decor by cutting slices of the flesh into adorable shapes using small cookie cutters. Check out my recipe for Energy Blast Breakfast Granola with Mango flowers, and give this recipe a try! 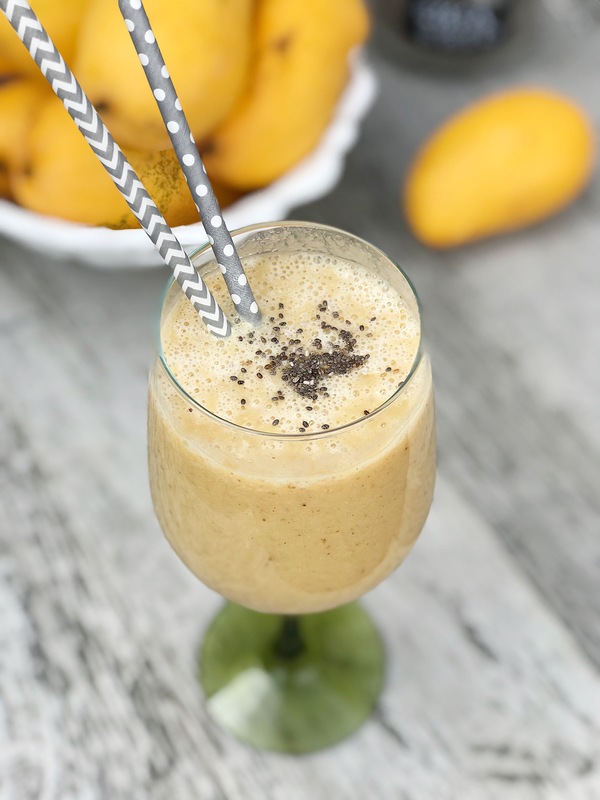 This Honey Mango Smoothie is quick and easy to make and packed full of protein and flavor. Enjoy it for a quick breakfast, light lunch, mid-day snack, or pair it with a salad for a delicious and healthy dinner. Blend all ingredients on high until smooth. Pour into favorite glass and enjoy!